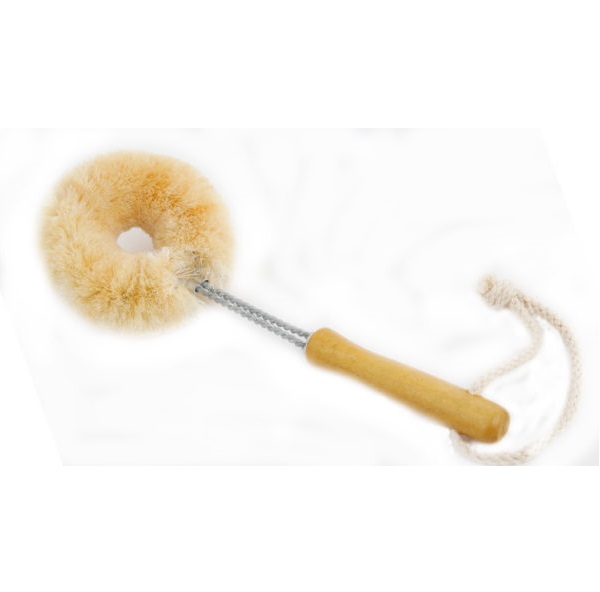 A soft jute natural fibre brush for non-stick pans that are all natural, Vegan, biodegradable, ethically handmade and sustainable. Sustainable Alstonia timber handle with soft natural, unbleached sisal fibres, which come from the leaves of a cactus. Natural fibres have rounded ends and won’t scratch non-stick pans or delicate items. Replace the plastics in the kitchen with natural fibres that do not add micro-plastics to our waterways and food chain. Eco Max Brushes are Vegan, biodegradable, ethically handmade and sustainable.